We will all go through difficult times as we are being Refined by Age.™ It’s good to have a toolbox of things to rely on when we’re experiencing the valleys of life. What’s in your toolbox? The Dock. I use this one often in some of the less difficult situations; more for distraction than anything else. The dock is a great place to look and listen to nature: the sound of the loons singing in their haunting voices over the stillness of the lake; the sailboat floating on a sheet of glass just beyond the shallows bordered by reed line; the ripples of a fish breaking clear of the water in search of a snack on the surface; the distant “white noise” of children playing along the shoreline or jumping into the water; the eagles swooping down for a fish to take back to feed their young ones in the nest. These scenes whisk me away from things such as the sound of drills at the dentist’s office. The Hand of God. 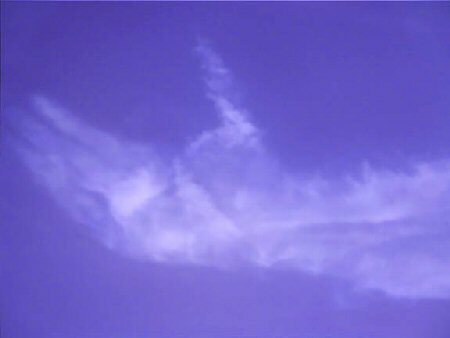 This visualization is one of a huge cloud in the shape of the hand of God. I visualize myself lying in the hand of God which is wispy and soft. When I start to get too scared, I visualize the hand closing around me to protect me. This scene is used for more painful, scary situations such as the soft-spoken doctor as he places the x-ray machine for correct placement of the needle into my spine. The Lifeline. In this vision I see a lifeline extend directly to me on earth from the hands of God in heaven. I take hold of the lifeline and know that as long as I hold tight onto this lifeline I am safe. I have only used this visualization once in my lifetime that I remember during an especially difficult time when I felt lost and was drowning in sorrow. The Furnace. In this furnace, I am being strengthened and purified by the heating process, much like that which steel goes through. This again is a visualization that I used at a major turning point in my life. I was literally physically and psychologically beaten down to nothing at the time. It was in the heat of the fire of the furnace that my strength, resiliency and purification were honed.